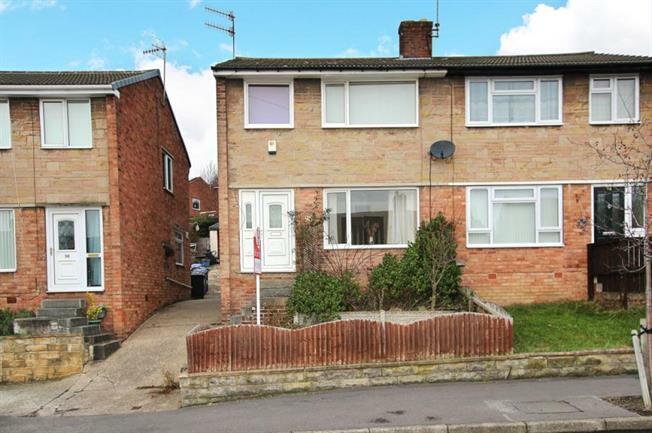 Blundells are pleased to offer for sale this well presented three bedroom semi detached house situated in a popular and convenient residential area of Wincobank. The property would be of particular interest to first time buyers but may also appeal to the looking for buy to let. The property is set on an elevated position affording fantastic panoramic views over the city. Awaiting More Images. The property is set across two levels. To the ground floor you will find a open plan kitchen diner and a generous lounge which is neutral in decor throughout. To the first floor you will find two good sized double bedrooms and a standard single bedroom. A family bathroom comprising a white suite with low flush w.c, wash hand basin and a panelled bath with shower over complete the accommodation. Wincobank is located in the north of Sheffield and is ideally located for a number of local amenities such as Meadowhall Shopping Centre, Train, Bus and Tram Station along with the recently introduced Tram Train which give access to Rotherham and Parkgate Retail Park. The area is ideally positioned for those who commute via the motorway network with junction 34 of the m1 only a few minutes away.